The state of Vermont and the city of Phoenix have joined the list of places that now call the second Monday in October Indigenous Peoples' Day, in a show of momentum for honoring indigenous people on the federal holiday that's named for Christopher Columbus. Phoenix is now the largest U.S. city to recognize Indigenous Peoples' Day, according to member station KJZZ, which says the move came on a unanimous vote. Other cities have adopted similar laws in recent years, including Seattle and Minneapolis. The city council of Denver, which observed Indigenous Peoples' Day last year under a temporary proclamation, embraced a permanent observance this week — a development that's particularly striking because Denver is where the idea for a holiday honoring Christopher Columbus first took root. "Colorado became the first state to observe Columbus Day as an official holiday," according to The Denver Post, "and in 1909, Denver held its first Columbus Day parade." 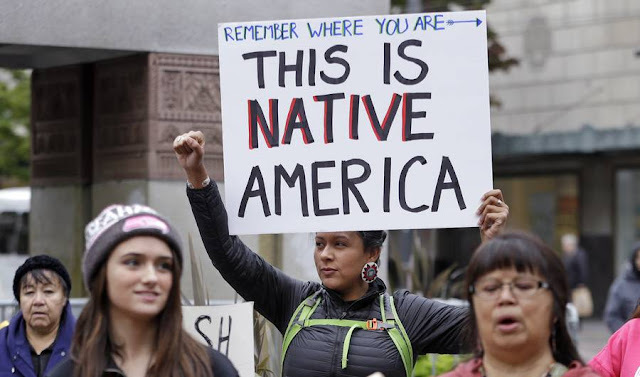 Denver's move comes two months after Boulder's city council declared that Indigenous Peoples' Day will be celebrated on every Columbus Day holiday. 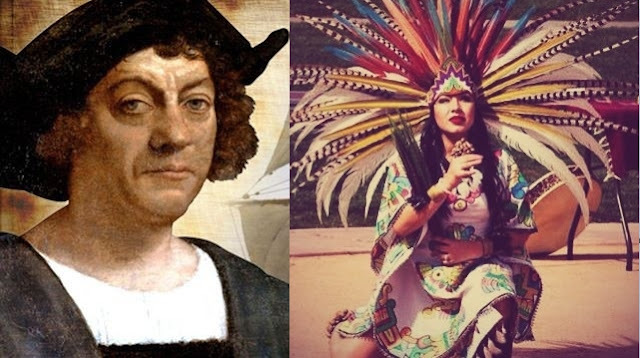 But the push to rename the Columbus holiday is being turned back in some areas: This week, the Cincinnati City Council rejected an Indigenous Peoples' Day proclamation, for instance. Although Columbus Day has been a federal holiday since the 1930s, more than half of U.S. states don't mandate a paid day off for the holiday. As of 2015, only 23 states gave employees a paid day off for the day. For years, only one state — South Dakota — officially designated the second Monday in October to honor the people and cultures that thrived in North America before Europeans' arrival. 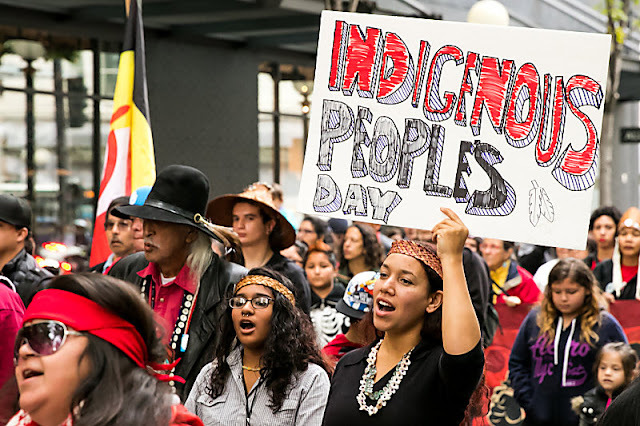 Alaska's governor adopted Indigenous Peoples Day last year; we'll note that the state, like Hawaii and Oregon, had previously not recognized Columbus Day. As of this week, Vermont also recognizes the second Monday of October as Indigenous People's Day, after Gov. Peter Shumlin issued an executive proclamation. In it, Shumlin noted that Vermont was founded on land that was long inhabited by the Abenaki people. South Dakota adopted Native American Day back in the 1990s; California observes a day by the same name, but it does so on the fourth Friday in September. Late last month, Nevada's governor established American Indian Day in the state; it was observed on Sept. 23. 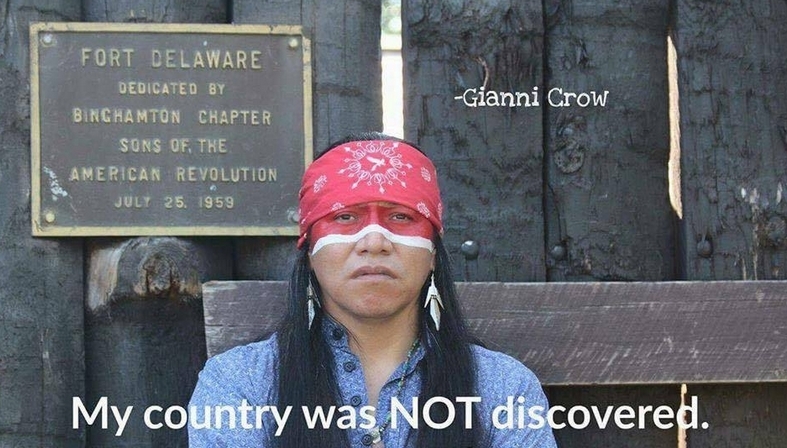 "We discovered Columbus, lost on our shores, sick, destitute, and wrapped in rags. We nourished him to health, and the rest is history," Means told MPR. "He represents the mascot of American colonialism in the Western Hemisphere. And so it is time that we change a myth of history." Responses to "25 Cities Abolish Columbus Day and Adopt Indigenous People Day Instead"
Um, I used to go to school in Oregon and yes we did celebrate Columbus day. Granted it was the 70s and 80s. But I know we did because my birthday is the 11th.